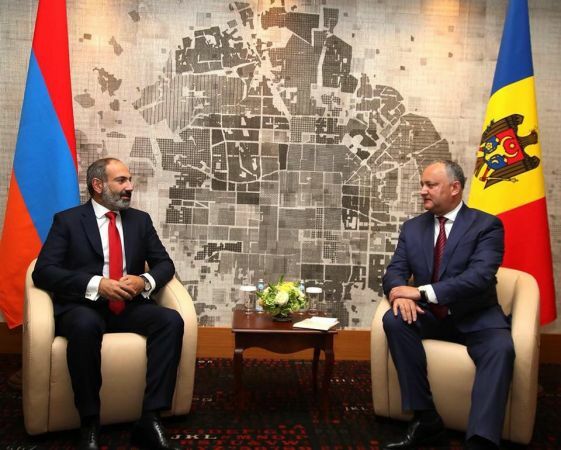 On May 14, Prime Minister of Armenia Nikol Pashinyan has met with Moldovan President Igor Dodon. The Armenian premier assured Dodon of Yerevan's readiness to develop political and economic relations with Chisinau. Dodon congratulated Pashinyan on assuming the post of the prime minister. "The bilateral relations between Armenia and Moldova are developing dynamically. It is expected that in the future our mutually beneficial relations will be strengthened in the interests of both states," said Dodon. 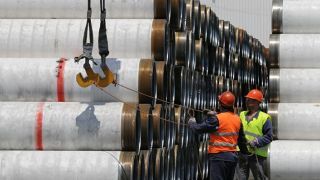 EADaily already reported that Igor Dodon is taking part in the summit of the Eurasian Economic Union, which was launched on May 14 in Sochi. "I'm leaving for Sochi to attend the meeting of the Higher Eurasian Economic Council. On the sidelines of the summit, bilateral meetings are planned with President of the Russian Federation Vladimir Putin, President of the Republic of Belarus Alexander Lukashenko, President of the Republic of Kazakhstan Nursultan Nazarbayev and with new Prime Minister of the Republic of Armenia, Nikol Pashinyan," Dodon said earlier on his Facebook page. One of the main topics discussed at the meeting of the heads of states will be the issue of granting Moldova observer status in the union.